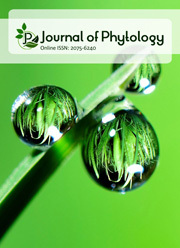 Journal of Plant Stress Physiology offers free publishing for articles submitted until May 1, 2019. Journal of Plant Stress Physiology offers free publishing for articles submitted until May 1, 2019. The articles should be strictly formatted according to the instructions to authors. Read More Read more about Journal of Plant Stress Physiology offers free publishing for articles submitted until May 1, 2019. The Journal of Plant Stress Physiology [ISSN: 2455-0477] is a peer-reviewed, open access journal that publishes quality articles in all the areas of plant physiological responses under various biotic and abiotic stresses. The journal welcomes the submission of original manuscripts (Please see Plagiarism Policy) that meet the general criteria of significance and scientific excellence.